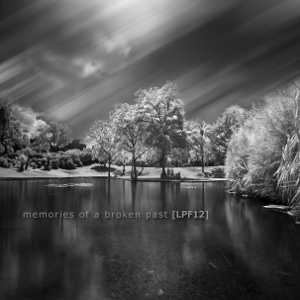 Every time when it seems that the year has nothing to surprise, another album from LPF12 is released. Just only the cover - dark, compelling, seems to disturb. "Memories Of A Broken Past" is composed from 3, about 12 minutes length tracks, that complement each other, and they are created in a simple, modest manner. The use of the long form in the presented pieces, allows to play the entire palette of musical phrases and feelings associated with the unknown so far, alluring, new dimension of sorrow. On that release listener is confronted with a thick, highly condensed sounds that stimulate the senses of all kinds. LPF12 once again causes, that there appears stirring atmosphere, but without forcing it. And the sound presented on that record, despite its intensity, gradually takes on the character of ethereal poetics.